Want to order a Special Edition of this book, which has an added Call-to-Action Preface? Click here. Or order the Ebook version. For other current non-GMO news, “like” and follow Going Against GMOs on Facebook. 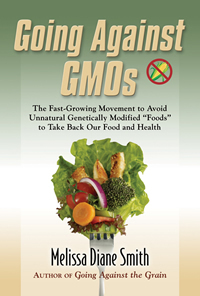 The movement of consumers avoiding unnatural genetically modified organisms (GMOs) hidden in foods is growing so swiftly and with such force, it’s becoming a revolution. Yet Americans and Canadians have been kept in the dark for so long about genetically modified foods that many people still don’t know about them.